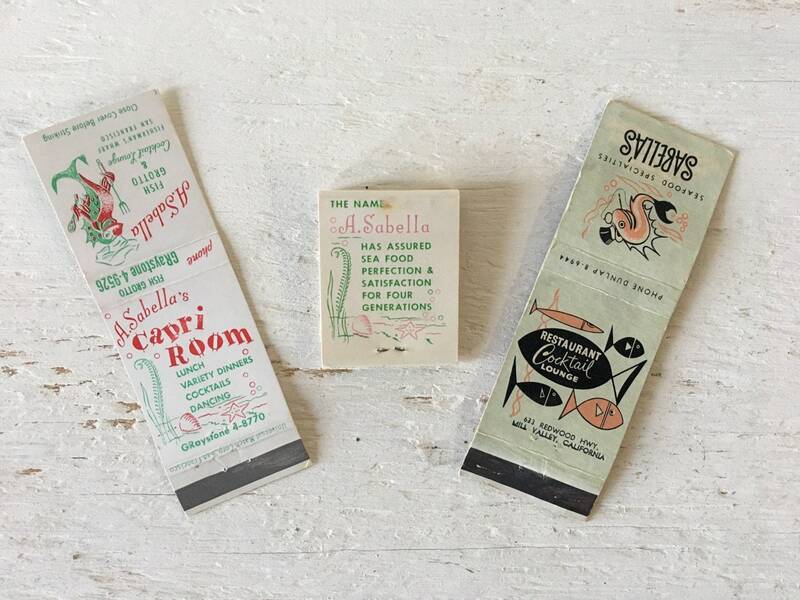 Sabella's Restaurant and A. Sabella had the coolest fish designs on their promotional items! 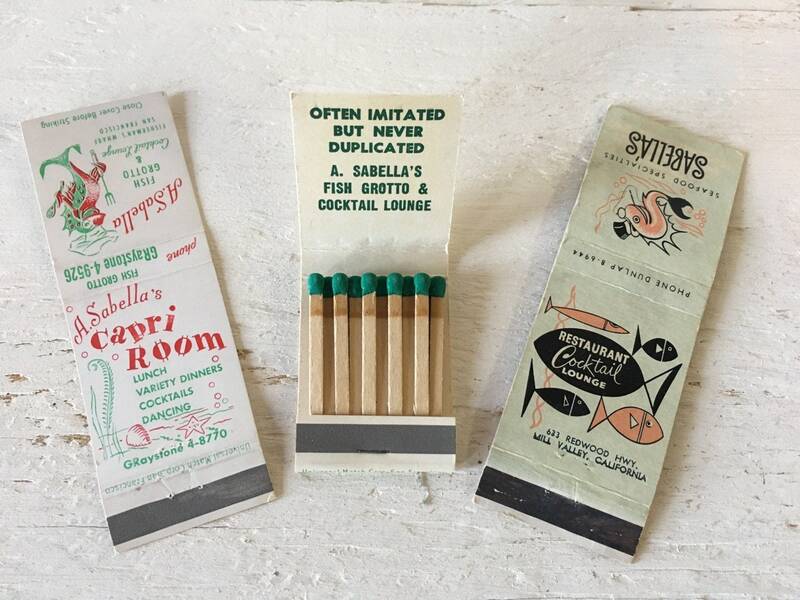 In this listing you will get two matchbook covers and one full set of matches. Fun stuff! These are from my personal collection, something I had always meant to frame and hang as a piece of art. 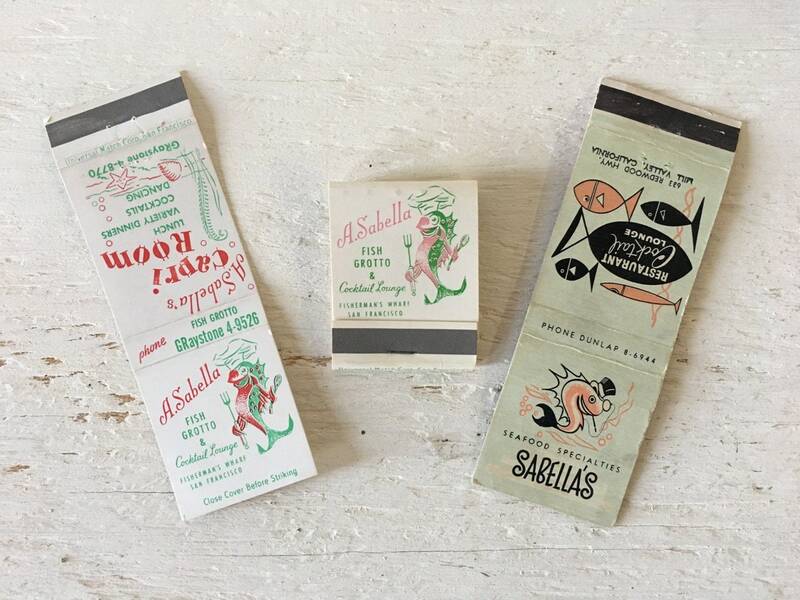 I was collecting Sabella's and A. Sabella for a while after I got hooked on the cool logo and design after getting several very cool diner plates from A. Sabella's. I still use the plates but am selling some of the other ephemera.